WALKERSVILLE – A colorful, hand-painted, 7-foot tall crucifix towered over a church overflowing with parishioners at St. Timothy Parish in Walkersville July 22 during a Mass dedicated to Blessed Oscar Arnulfo Romero, a Salvadoran priest and martyr on track for canonization in Rome Oct. 14. The Mass – followed by a dinner reception – was organized by three parish communities: St. Joseph in Hagerstown, St. John the Evangelist in Frederick and St. Timothy. 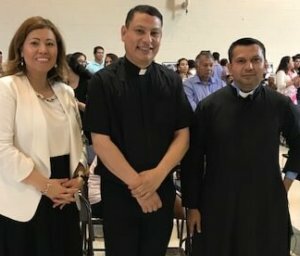 It represented the second of five cultural events hosted this year by the Office of Hispanic Ministry of the Archdiocese of Baltimore to honor the life and legacy of Blessed Romero. As a priest and bishop, Blessed Romero tended to the poor, visited prisoners and founded an Alcoholics Anonymous program at a parish in San Miguel, El Salvador, where he served for 20 years. He also revived popular devotions to the country’s patroness, Our Lady Queen of Peace. But he’s mostly known for his three years as archbishop of San Salvador beginning in 1977. Blessed Romero was assassinated in 1980 while celebrating Mass one day after calling on the government to end its violation of the human rights of El Salvador’s people. Celebrations in honor of Blessed Romero started in the archdiocese June 30 at Sacred Heart in Glyndon, and will conclude at the Cathedral of Mary Our Queen in Homeland with a Mass of thanksgiving for Blessed Romero’s canonization Oct. 28. 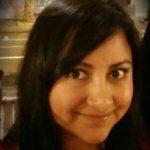 Lia Salinas, Director of the Office of Hispanic Ministry for the Archdiocese of Baltimore, said a canonization is always a cause for rejoicing in the Catholic community. 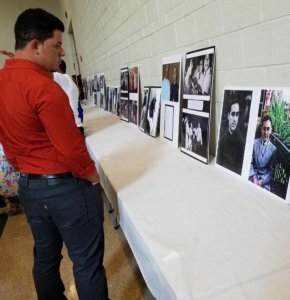 During the dinner reception at St. Timothy church hall, parishioners looked over an exhibit about Blessed Romero’s life, witnessed a dramatization about his “passion and death” performed by members of the parish’s young adult group “Voceros de Cristo,” and listened to a keynote address by Father Juan Antonio Garcia-Membreno, associate pastor of St. John the Evangelist in Frederick. 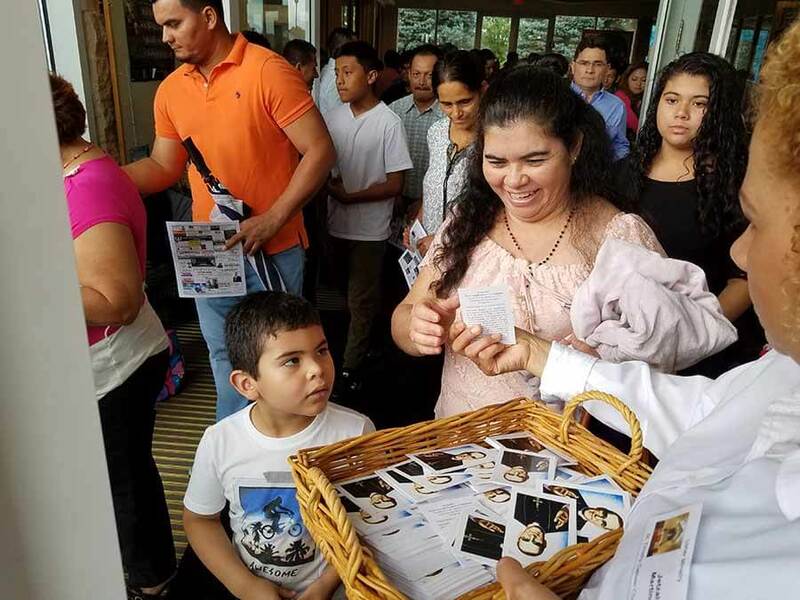 Jose Angel Alas, a 61 year-old parishioner of St. John the Evangelist in Frederick and a native of Chalatenango in El Salvador, was 23 years old when Blessed Romero was murdered. He remembers listening to the sermons of the late Archbishop of San Salvador on the radio. Alas referenced the current situation in Nicaragua, where police and paramilitaries have attacked churches and threatened clergy for offering shelter to civilians protesting authoritarian rule. “(Blessed Romero) said that no military order should come before God’s law, but God’s law is being broken every day,” he added.